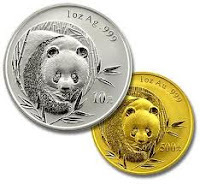 MCX Gold and Silver are trading slow with negatively biased movement. Silver (Futures) prices have started declined and with nearly 0.30% decline, MCX Silver is trading near 56700 level. Prices are likley to remain in consolidation to downward trend for a while. One can buy silver above 56850 for the targets pf 57000-57300. Major resistance is seen near 57500 above which prices may touch 58000-58200 level. Below 56350, selling is recommended. Gold futures prices may decline in the evenign trade. So one can go for sell in MCX Gold Today.